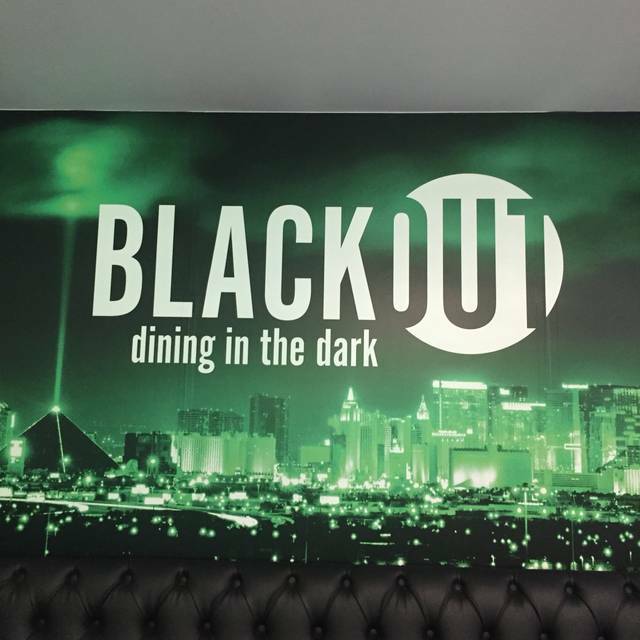 Embark on a culinary adventure unlike any other at BLACKOUT, a fascinating dining experience just off the Las Vegas Strip. Sitting in total darkness, your sense of taste and smell are completely heightened as you feast on a plant based multi-course meal of wonderful specialties. 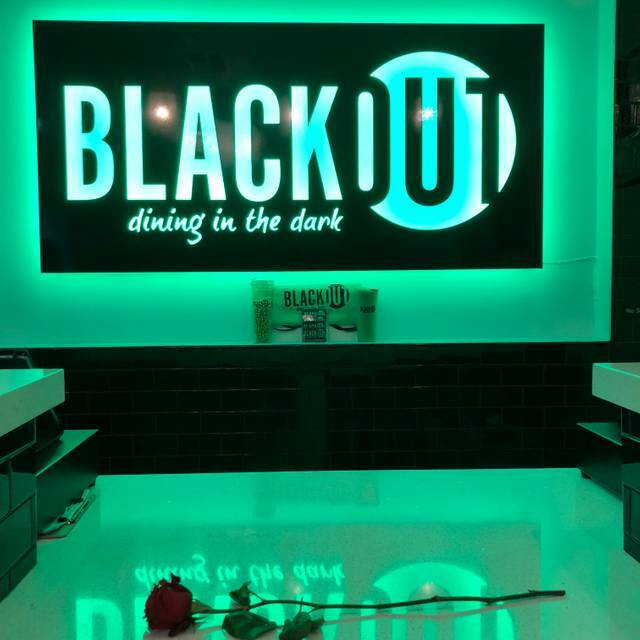 Upon arrival at BLACKOUT, you're greeted by the friendly and entertaining staff. 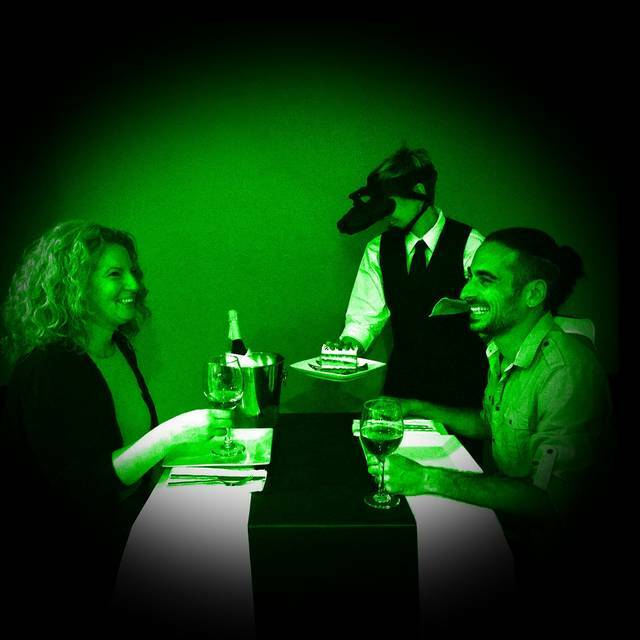 Next, you're led into the pitch-black dining room where your meal can begin. Taste and touch your way through a delicious lunch or dinner, one dish at a time. At the end of your meal, the staff escorts you back to the lobby. Head back out into Vegas happy that you've had a truly unique sensory experience that you won't soon forget. Mon-Thurs 5pm-11pm and Fri-Sun 12pm-11pm. This experience was awesome especially the waiter. I had a phenomenal time with BLACKOUT!!! Got some much needed mindfulness with my meal and I got to see the perspective of a blind person at a restaurant. I know this was a rare attraction that isn't offered everywhere so I'm really happy that I got to experience it on my trip. I would recommend everyone to try out dining in the dark. However, the one thing I wasn't happy about was when I got my bill there was a $40 entry fee. I was only aware that dinner costs $39.99. I would appreciate if the business advertised all pricing prior to dining. I felt $100 for a single person's meal was a little on the high end. Good experience for about 15 minutes and then just really uncomfortable. Such an amazing dinner and experience! We would definitely go back on our next visit to Vegas. Our waiter, Christopher, was fantastic and helped calm our initial nerves. Once you allow yourself to relax and surrender to the darkness you really enjoy yourself. So much fun! This could of been a better experience for me and my 3 guess if meat was on the menu. Not everyone's a vegan or vegetarian. I thoroughly enjoyed my experience at Blackout. Christopher our waiter was fantastic, and the food was outstanding. I only have a few thing that detracted from it. It was very noisy, maybe the restaurant can put some sound muffling on the walls to decrease the noise. The check in counter and payment counter are the same place in the same lobby, it would be better it these could be seperated, so that the people leaving can look at menu without giving anything away to those people coming in. Checking in was also very chaotic. It would be nice when they show you the menu at the end if it had pictures, so that you can see what you were eating. Awesome adventure! Incredible food and wait staff. We had a blast and were so stuffed! Would highly recommend! Our waiter was excellent with perfect directions of where things were placed. Experience was great, fun & entertaining. Our server Roscoe was funny & relatable, he made the time there so rewarding. The food was okay, not a huge fan of the main dish or the dessert. Meal lacked meat, even though it was supposedly in an items it was not easily identifiable was overly masked. Would be willing to go once more during a difference season, if the menu items change. I thought it was over priced but the food was pretty good. It was a fun experience but one time is enough. highly recommend! such a fun experience ! food was vegan but very tasteful! our waiter Willy was awesome! My husband took me here for my birthday last Saturday. We had a total blast! Trying to figure out what you’re eating was fun and trying to use Silverware and find your drinks brought about slot of laughter! I was really nervous about Blackout, but I'm really glad that I went. We made our reservation before finding out that the menu was vegan, but I was very pleasantly surprised by how much I enjoyed the food, and how full I felt afterward. Our server, Rebecca, was amazing. She did an incredible job of making us feel comfortable (I told her I was anxious about being in the dark), and of guiding us through all the courses. My husband and I are both fairly picky eaters, and my husband also has a soy allergy. They were able to accommodate his allergy, and he and I received a few different items as a result. We both enjoyed most of the items we received, despite how picky we both are. It is definitely not an inexpensive experience, but in my opinion it is definitely worth it to do it once. This was such an amazing experience! My date and I were both a little nervous at first, but Willy did an amazing job at making us feel comfortable at our more vulnerable state. To anyone curious about the quality of food, I’m telling you, this is NOT a gimmick. Each course of our meal was absolutely fantastic! Our dinner was absolutely amazing. Ken made the whole experience perfect. Highly recommend this experience. Such a fun DIFFERENT experience. Unlike any other dining. Very unique! Loved it! If you are looking for a unique dining experience this is the place for you. My wife and I had a great time! I was worried that the darkness thing would be a gimmick and allow the restaurant to skip on quality, cleanliness, service, etc. - this was not the case at all. Great experience and super fun! Everyone was friendly. Our waiter, Corey, was amenable and a good conversationalist. The food was flavorful and unexpectedly delicious. I'm definitely recommending them to my friends. Came for my fiancé’s birthday. It was such a great experience and it was a lot of fun. Our server, Rebecca, was very nice and made the whole thing very easy and comfortable. So much fun! We had a great time and every course was delicious. We were so full we couldn't finish dessert. Can't wait to go back. Really fun experience. Great staff. I would go back. Thank you! This is certainly an interesting dining experience and definitely a cool gimmick. The food was just average and our table found it a bit salt heavy. The main course was incredibly underwhelming and did not taste anything like the menu stated it was supposed to be and we only ate 1/2 of it. It was fun to try but wouldn’t ever do it again and very pricey for the quality of food that was served. The whole experience was quite something - we both thoroughly enjoyed it! My first time but not the last one. Just amazing. Great concept and fabulously tasty food, and fun people. All in all an unforgettable experience. Would do it again - this time for the 6 course dinner. 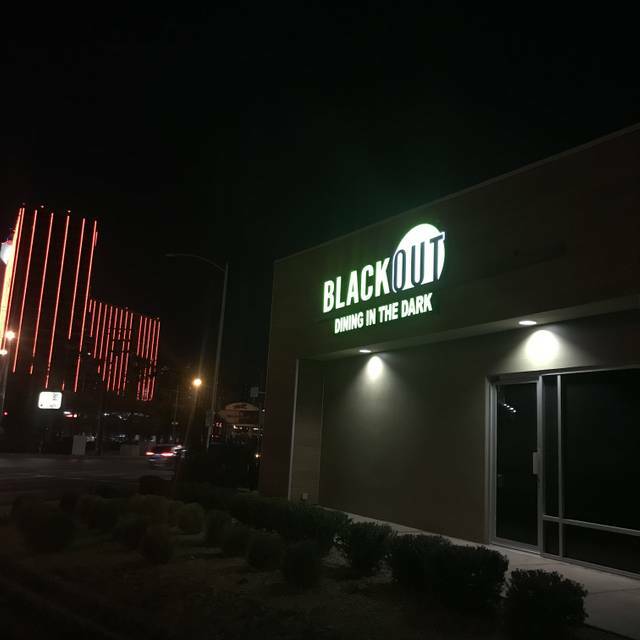 Me and the wife loved the whole experience we had our honeymoon in Las Vegas and stop at the black out branch there and our hostess was professional and funny she made our experience the best so massive thanks to Las Vegas black out dinning you guys rock. Kind regards the HUGHES newly weds. The true meaning of dinner "theater". This was a truly fabulous experience. The food was phenomenal. I was a bit nervous because of some of the bad reviews, but after reading them again after we ate at Blackout, I think I know where people are coming from. 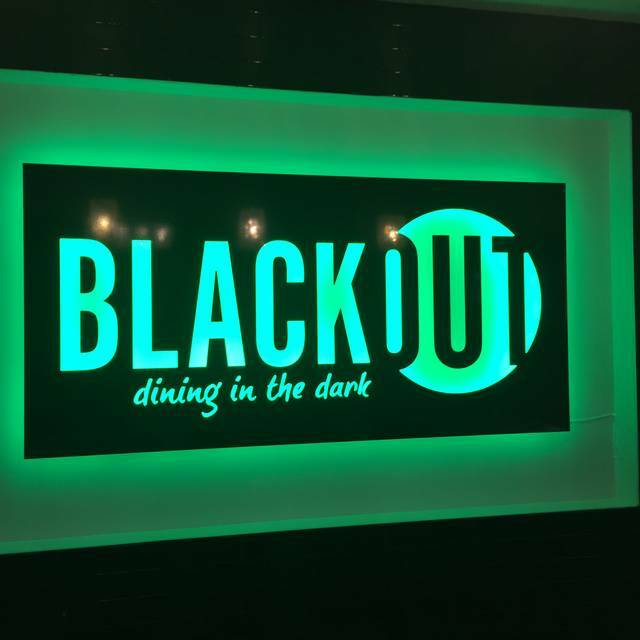 Blackout does not advertise itself as a plant-based restaurant. You would need to be a savvy consumer and read the FAQs on their website to figure out that they are a vegan restaurant and what it costs to eat there. It was pricey, however, we were absolutely stuffed at the end of the experience, I would say that it was worth it. It was so much fun to turn off our sense of sight, and explore the dishes. Our waiter was very helpful and attentive. I think the problem with these bad reviews were that these were meat eaters who did not know what they were getting into and did not finish what was on their plates. No way could they have left hungry. Their expectations and taste buds are so used to eating meat, that their brains can not be open to the wonderful flavors and textures of plant based foods. We did have an omnivore in our party and he enjoyed the experience as well as we 3 vegans did. If you are in Vegas and a vegan, you absolutely need to check this establishment out. And if you are not vegan, loosen up and try eating a damn vegetable. You may like it....your body certainly will. Food and service were great. It was overpriced, though. 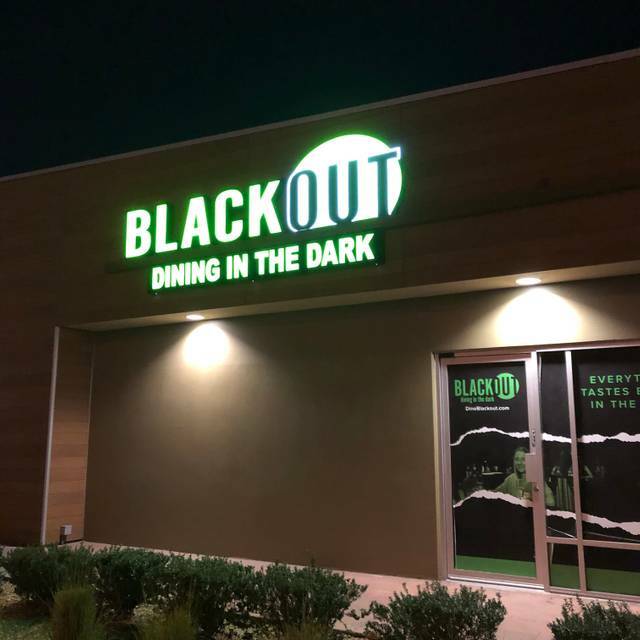 I was so nervous to eat at Blackout. I arrived and started feeling extremely anxious. JP and Ken were wonderful. They were so comforting and knew exactly what to say. I was still anxious inside but Ken kept coming to check on us and I could see a little light on his goggles and that was really comforting. It was such a fun experience , I’m glad I did it. The restaurant did smell like feet, and I don’t know why . I wasn’t the only one who thought so. I enjoyed 3 out of 7 dishes. And I’m NOT usually a picky eater. They were either a hit or miss. No in between. There were tooooooo many different flavors I just was not use to. So much I could not enjoy most of it. I never knew how many different tastes I did not like. If you had a menu I can pick from so I can really enjoy the taste and smell without thinking too much about it and then being able to take it home because it is pretty expensive, I would do it again. Also I did find a little Spot on the wall (maybe smoke detector) with a small dot of light and when ever I got too anxious I would look there and felt comfortable. Maybe you can point that out to customers who are just too anxious like I was. This was a very unique, enjoyable dining experience. Our waiter, Ken, greatly added to our enjoyment of the evening. I would most highly recommend this establishment. One of the best places to eat! It was fun and exciting. Ken was a great host and made the experience even better!